First Place Web Host provides dedicated Microsoft� SQL server� database hosting and MySQL database hosting services for businesses. We are located in Columbus, Ohio & we serve the Cleveland, Cincinnati, Akron, Canton, Youngstown, Mason and Delaware areas. 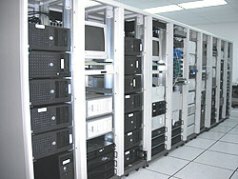 Providing database hosting services for all ranges of businesses from government entities to family-run internet retail businesses, we have been growing at an astounding rate since our inception due to the top notch service we provide for our clients and our heavy investment in infrastructure. You're ready to increase your internet presence by adding an online store, creating a subscriber base for your email newsletters, or simply maximizing interaction between your site and its visitors. What do you do next? Can your current web host help you? First Place Web Host can! High-end features such as e-commerce often require the integration of a Microsoft� SQL database or MySQL database. When you partner with First Place Web Host, we will develop, maintain, and host your Microsoft� SQL database or MySQL database for you along with your website. You'll receive the signature customer service that all of our hosting clients receive, with access to experienced technicians 24/7/365. And best of all, there's no need to worry about data loss as our nightly backups are stored both onsite and offsite for added ease-of-mind. 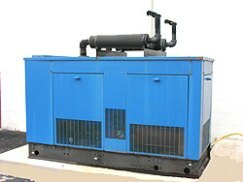 With our datacenter on-site at our offices in Columbus, we are always on top of any situation that arises. Severe weather never seems to be a problem for Columbus, but in the rare instance of an outage, we are among the first to have power restores, located less than a quarter of a mile from the corporate offices of AEP. Because of this, and our continuous infrastructure improvements, we regularly receive calls from hosting companies & webmasters that are looking for a more secure physical environment where their servers will be safe.